Shiv Sena chief Uddhav Thackeray Saturday addressed the workers in Ayodhya and said Build the temple first then we will talk on other issues. 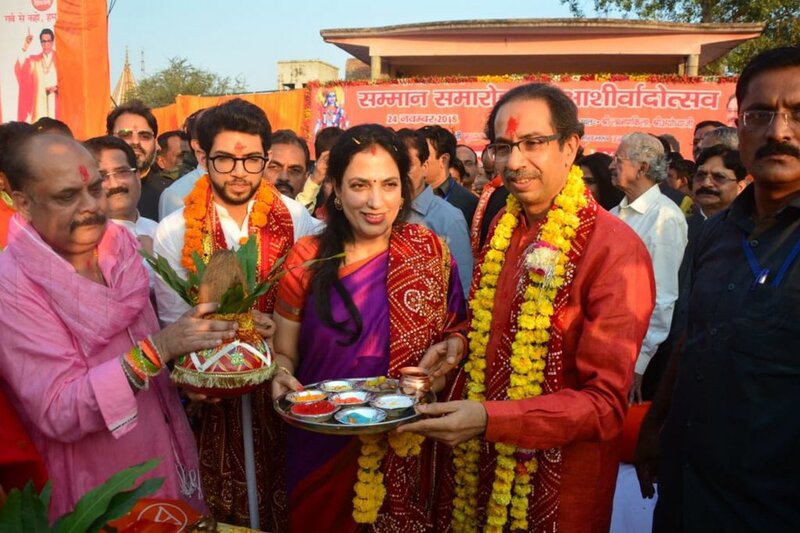 Ayodhya: Shiv Sena chief Uddhav Thackeray Saturday addressed the workers in Ayodhya and said Build the temple first then we will talk on other issues. The Sena chief, who arrived with his wife Rashmi and son Aditya amidst slogans of "Jai Shri Ram", will offer prayers on the banks of the Saryu river in the evening. 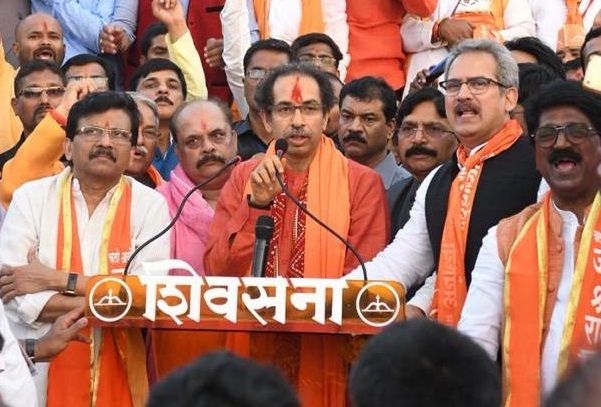 The Sena, which has demanded expediting the construction of a Ram temple in Ayodhya by promulgating an ordinance to the effect, is believed to have sent some 3,000 Shiv Sena supporters by two trains from Maharashtra. The cadres who have already arrived here first took a dip in the Saryu river and then prayed at Ram Lalla and Hanuman Garhi, Sena sources said. The Shiv Sena chief is reported to have brought a pot full of soil from the Shivneri fort in Pune, which will be handed over to the priest at the Ram janmabhoomi when he meets him later. This is Thackeray's first visit to Ayodhya and party leaders, including MP, Sanjay Raut, and others had been camping here for the last few days to make preparations for the visit. 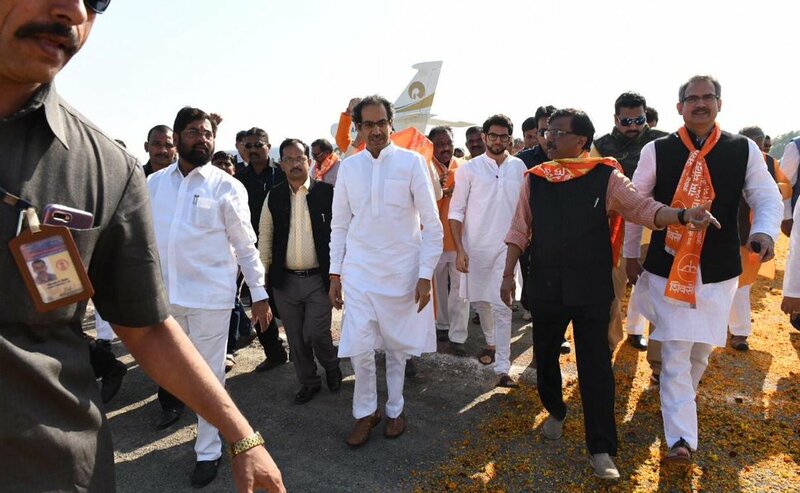 On Sunday morning, Thackeray will go for a darshan of Ram Lalla accompanied, interact with the media and later with the public, party sources said.